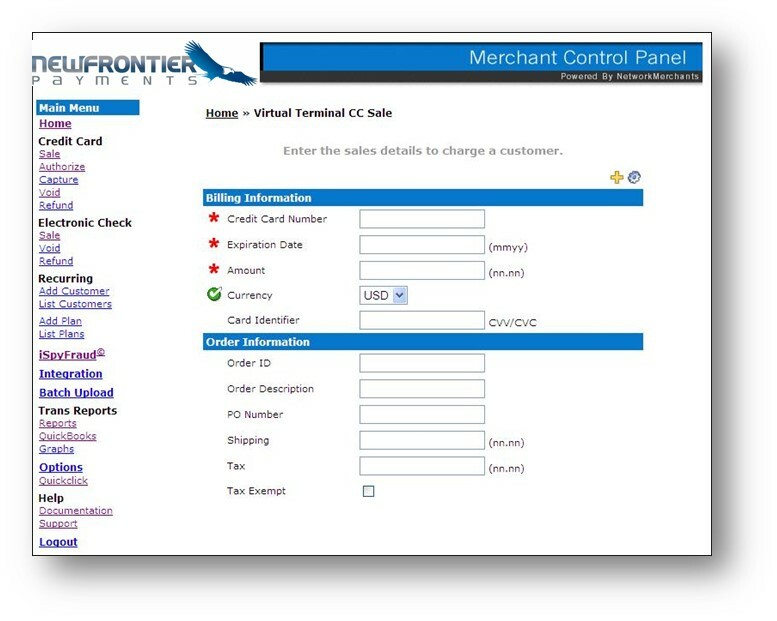 New Frontier Payment’s SafePay eCommerce Gateway is a virtual terminal which allows merchants to submit transactions for processing by manually entering transaction information. Using SafePay, merchants can process sales, authorizations, refunds, and capture existing or voice authorized transactions. The SafePay Gateway can be accessed from any mobile device or computer with internet access at any time, providing a quick and convenient way for merchants to process transactions.